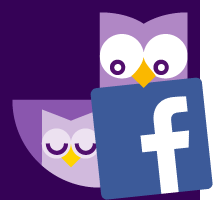 Night Owls is a Maternity Nursing Agency that is settings new standards to ensure that it delivers the very best service possible to its clients. It has been forged out of a life-time of experience and skills developed by Jan Harrison, who has been a highly respected practitioner in the field of child-care and sleep training for more than 30 years. Jan began her training after leaving school when she completed two years full time study as a Nursery Nurse. This covered a variety of subjects including Child Development & Psychology, Child-care and Health. Jan further developed her skills through attending training courses as well as from practical experience gained, working in day nurseries, private homes, pre-schools, and in the villages of Pakistan teaching primary health care. She has specialised as a Maternity Nurse and Sleep Trainer (0-7 years) for more than 15 years. For some time now Jan has been concerned about the lack of regulation governing the employment of maternity and night nurses. That a Maternity Nurse needs no qualifications or training to practise? There is no professional body regulating Maternity Nurses or monitoring skills and ability. Some Maternity Nurses have no insurance, DBS check or Paediatric First Aid training. Consequently they will offer their services at a significantly discounted rate to that normally charged. Having worked with a number of agencies in the past Jan had a clear idea of the type of agency she wanted to establish. She believed that it should be one that would provide some of the best Maternity Nurses available and at the same time would embrace the highest standards in the delivery of that service. Jan knew from her own experience that every parent wants to know that when employing a Maternity Nurse, they were leaving their child in safe hands and could be confident in any advice they received. That is why Night Owls is committed to invest time in the ongoing training, supervision and selection of its Maternity Nurses. As far as we know it is the only agency that requires its Maternity Nurses to sign a commitment to a ‘Code of Conduct’. It is upon these key values that Night Owls (UK) Ltd has been established. Jan not only wanted to provide mentoring to the Maternity Nurses that Night Owls recommends, but to also be available to provide additional support to parents where this may be needed. Jan also wanted Night Owls to be competitive in its pricing structure. She felt that clients should not have to pay a premium to be offered experienced and trained Maternity Nurses, believing that this should be a basic provision offered by any Agency working within this field. The Agency means Night Owls (UK) Ltd acting as a staff placement agent to offer an introductory and advisory service to clients wishing to employ a Maternity Nurse. In all instances, the term ‘Night Owls’ refers to Night Owls (UK) Ltd.
Maternity Nurse is used generically to describe any suitable person that the Agency may introduce to the Client as a possible temporary employee for maternity and child care services. This could be for work overnight, during the day time, live-in or working a variable shift pattern. Hold a current (within the last 3 years) and clear DBS (CRB) Police check. Have specialist insurance cover with a recognised company (often called Nanny insurance). Hold a current Paediatric First Aid certificate. Be able to provide a Curriculum Vitae for the previous three years. Hold a permit to work in the UK (if not a British citizen). Have a minimum of three years’ experience in child care working with children other than their own. Be able to supply certificates in respect of training days and courses attended. Be able to provide verifiable references of work covering the previous two years. Have attended a face to face interview and assessment of competency with the Agency or another assessor designated by Night Owls. To conduct themselves in a manner that is professional and appropriate to clients, their families and family members at all times. To treat everyone with dignity and respect. Not to act in a way that could be perceived as harassment, threatening behaviour or bullying. Not to use language that is inappropriate, discriminatory or offensive in the home of any client. This includes, but is not limited to, sarcastic, insensitive, derogatory or sexually suggestive comments or gestures. To treat all people fairly and not to discriminate against anyone in respect of Culture, Race, Religion, Belief, Disability, Gender Identity, Age, Sexuality, Marriage, and Civil Partnerships. Not to allow any personal, religious or social activities affect their service delivery. To be trustworthy, honest, and conscientious at all times. To be punctual in their time keeping. To show commitment and customer loyalty by fulfilling any booking which has been agreed. As far as possible, to ensure the safety, protection and welfare of any child they have responsibility for at all times. To respect the requests of the client at all times unless this will cause harm to the baby/child they are responsible for. Not to initiate, encourage or conduct a sexual relationship with any client, child, young person or other member of the family at any time. To keep confidential now and at all times in the future the affairs and concerns of the client their family and their transactions and business, unless required to do so by law. To dress appropriately at all times. Not to use their mobile phone for personal calls during working hours, except in an emergency and only with the permission of the client. To ensure that all equipment utilised in the course of their work, is used safely and for its intended purpose. Manufacturers’ guidelines should be followed at all times. Not to smoke tobacco in any form whilst at work and if they are a smoker, not to have had a cigarette within four hours of any scheduled work and to not wear clothes that they have worn whilst smoking, to the workplace. Not to go to work with more than 80 mg of alcohol/100ml blood (the drink drive limit) and not to drink alcohol at any time during working hours. Not to take illegal drugs in any form. If the Maternity Nurse is taking any form of medication which may impair their work performance they should inform the client before attending work. To be willing to attend Supervision with a director or another appointed person, designated by Night Owls at least once every eight weeks. To commit themselves to continual learning and development. Basic Child Care or the Maternity Nurse Practitioner course. Caring for twins and multiples. Night Owls staff will have carried out a complete review of all documentation and a conducted a personal appraisal of all Maternity Nurses they introduce to clients looking to employ a Maternity Nurse. This will include checking References and Curriculum Vitae and ensuring that all Maternity Nurses hold a clear DBS Police check, suitable Insurance cover and a Paediatric First Aid Certificate. For Maternity Nurses who are not British Citizens or EU/EEA Nationals, Night Owls will check that they hold either a valid Permit to Work in the UK, have Indefinite Leave to Remain or have a Tier 2 Work Permit, from the Home Office. In addition Maternity Nurses will also be required to attend an in-depth personal interview and show that they are competent to provide the service that they offer. Whilst the checks outlined above form a vital part of the staff selection process, you are strongly recommended to verify for yourself all information relating to the Maternity Nurse, before confirming a booking. Night Owls is established as a specialist provider of Maternity Nurses within the field of maternity and child care. Our Maternity Nurses are all skilled practitioners not only in providing practical help and support to parents and their babies, but have comprehensive experience in trouble shooting, behaviour issues and sleep training for babies and children from 0 – 7 years. It is important to recognise that Night Owls is not an employment agency. The Agency acts only as a staff placement agent validating, supporting and monitoring the Maternity Nurses that it refers to clients. In all instances the Maternity Nurse acts in a ‘self-employed’ capacity and is responsible for their own Income Tax and National Insurance payments. Night Owls holds its own Agency insurance cover with Morton Michel. This includes Public Liability insurance with an indemnity limit of £3 million and Professional Indemnity insurance with a limit of £100,000. In addition the policy also provides legal cover and help with debt recovery. Please note that the Agency Insurance does not replace the personal insurance cover Maternity Nurses should hold themselves. 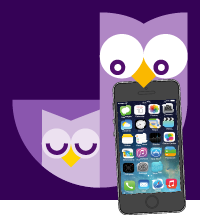 Night Owls believes that no child, young person or adult should experience abuse of any kind. All Maternity Nurses supplied by Night Owls make a commitment to promote the welfare of all children and young people and to practice in a way that ensures their safety. all children, regardless of age, disability, gender, racial heritage, religious belief, sexual orientation or identity, have the right to protection from all types of harm or abuse. Adopting child protection practices through a ‘Code of Conduct’ that all Maternity Nurses commit to. Providing effective management of Maternity Nurses through supervision, mentoring and support. Ensuring all necessary checks are made when recruiting Maternity Nurses. Sharing concerns with agencies who need to know such as the Independent Safeguarding Authority. We are committed to reviewing our policy and good practices annually. All members of staff and Maternity Nurses are expected to report any breaches of this code to any Director of Night Owls, under the whistle-blowing procedure or, if necessary, under child protection procedures. Staff and Maternity Nurses who breach this Code of Conduct will no longer be used by Night Owls Agency. Our Terms & Conditions establishes the legal principles underpinning the working practices and procedures governing Night Owls. They also place legal constraints and obligations upon any client using our services. A copy of the Terms & Conditions is available on this Web site, or can be sent on request. The Terms & Conditions apply from the point at which clients are sent the names and personal details of any Maternity Nurse by Night Owls, irrespective of whether or not they subsequently use any of the Maternity Nurses suggested. It will be assumed that Clients requesting this information confirm acceptance of our Terms & Conditions.